As a resident of Trinidad & Tobago, you should learn to identify those regional species that may pose a threat to humans. Then, by process of elimination, all others can be recognized as non-life threatening (nonvenomous). Knowing the following characteristics is helpful. 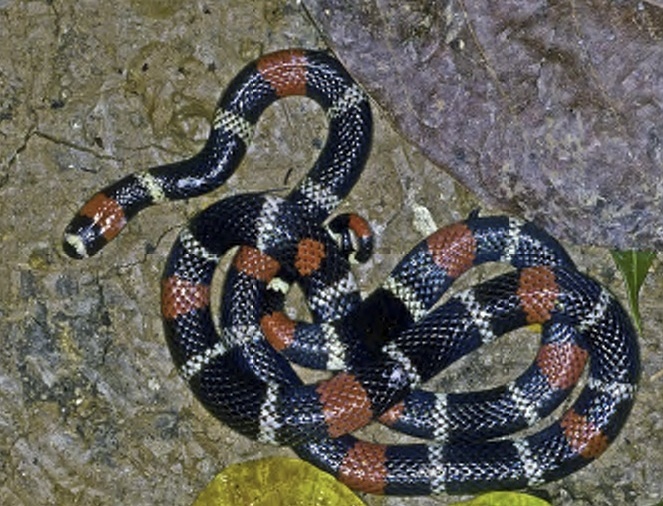 CORALSNAKE – Red, black, and pale, whitish rings encircle the body. The black rings are either single (bordered by pale, whitish rings) or in triads. Similar non-venomous species (false corals) have black rings in pairs. IF YOU ENCOUNTER A SNAKE WITH RED, BLACK, AND PALE, WHITISH RINGS, ASSUME IT IS VENOMOUS. MAPEPIRE (PIT VIPER) SPECIES – Pupils elliptical and sensory pit present between nostril and eye. HEAD NORMALLY TRIANGULAR, BUT BEST NOT TO RELY SOLELY ON THAT CHARACTERISTIC. MILDLY VENOMOUS SPECIES – There are a few species of snakes in Trinidad & Tobago that are not considered potentially deadly, but are capable of injecting mild venom. Different people have differing reactions, so it is advisable to seek medical advice for any snakebite. Even in the absence of venom, snakebites result in puncture wounds that may become infected and need medical attention. The easiest way to recognize the four venomous species is to learn their patterns and coloration, much as you do common birds. Don’t put your hands or feet in places you cannot see or have not examined. Do not turn over rocks, logs, or trash with your hands. Don’t crawl under fences, buildings, or other objects without carefully looking under them. In the wild, don’t sit, stand or walk without looking. Don’t wear low-cut shoes in areas known to be infested with venomous snakes. Don’t gather firewood after dark or without looking carefully. Don’t sleep on the ground near woodpiles, cave entrances, or swampy areas. Don’t be careless when moving objects left on the ground for several hours. Don’t disturb snakes, or unnecessarily try to kill them. Don’t handle ‘dead’ snakes with your hands. Don’t attempt to capture snakes unless you are skilled. Don’t get within a snake’s striking distance while trying to identify it. Don’t stay near a snake if it bites you. Don’t forget that venomous snakes can climb trees, can bite under water, do occur in high altitudes, may enter saltwater, and may appear in your garden. Calm and reassure the victim; don’t panic. Remove all rings, bracelets, or other constricting items. Immobilize the bitten area as much as circumstances allow. Keep the bitten area at or below heart level. Take victim to medical facility as quickly as possible. Do not give victim any drink or food by mouth. Do not use a constriction band or tourniquet in the absence of an obviously severe envenomation. Do not place ice on bitten extremity. Do not make any cuts. Instead, use THE EXTRACTOR®, manufactured by Sawyer, and recommended by some physicians skilled in venomous snakebite treatment. This instrument may remove venom by suction without the use of incisions. 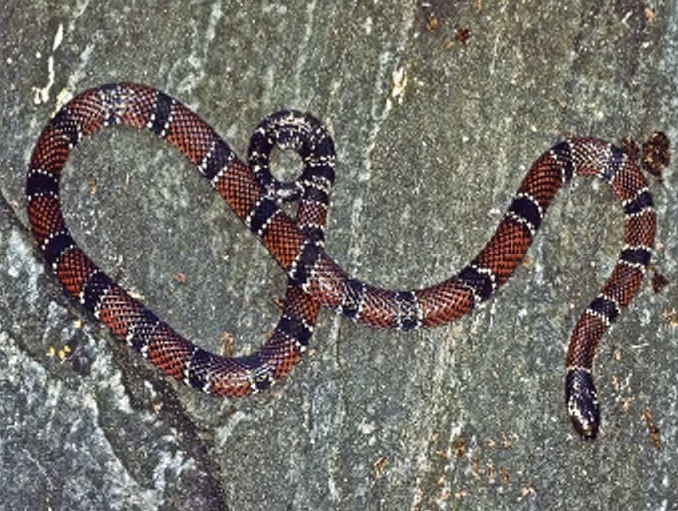 Most snakebites are by non-venomous species. 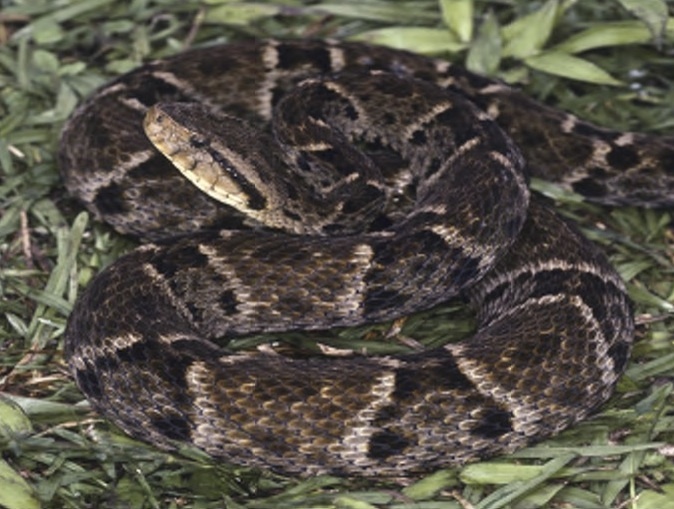 Of all the bites by venomous snakes, particularly pit vipers, 25-50% do not inject any venom. MORE IMPORTANT, MORTALITY IS INTERNATIONALLY LESS THAN 1% FOR VENOMOUS SNAKEBITES THAT ARE PROMPTLY TREATED BY PHYSICIANS, AND IT IS QUITE LOW IN TRINIDAD & TOBAGO. 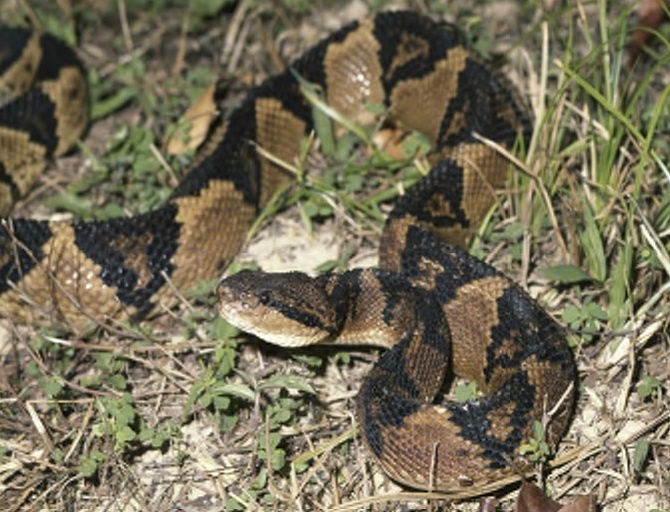 Venomous snakebites that are not physician treated with the proper antivenom may have a much higher mortality rate. It is best to get medical help and avoid local folk remedies. Snakes pictured are generally typical; however, some variation in color and markings does occur. If in doubt, consult an identification expert. Boos, Hans E. A. 2001. The Snakes of Trinidad & Tobago. Texas A&M Univ. Press, College Station. 270 pp. Murphy, John C. 1997. Amphibians and Reptiles of Trinidad and Tobago. Krieger Publ. Co., Melbourne, FL. 245 pp.